Apache Drill 恐怕是目前支持最多ANSI SQL的SQL-On-Hadoop的framework了. 不仅支持聚合函数,distinct, group by, having 语法,而且支持Crate不支持的子查询. 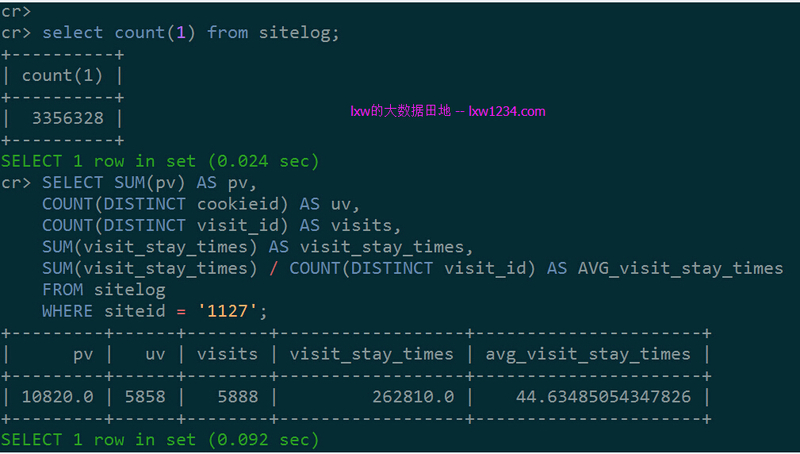 另外它能够查询flat file,CSV file,JSON 嵌套格式, 以及存储在Amazon S3, MongoDB, HBase Hive table 等地的数据.